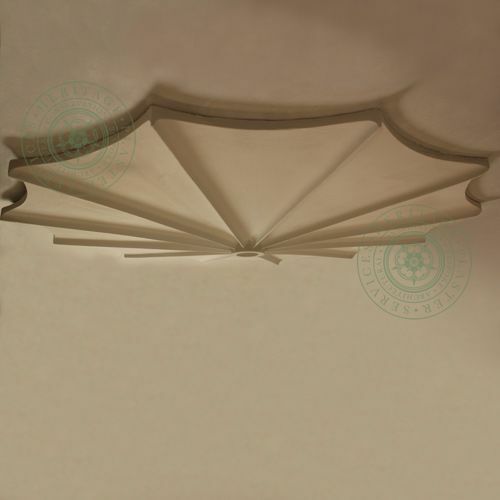 Ceiling decoration and ornamentation is regularly achieved through the application of plaster ceiling roses and panelled mouldings. 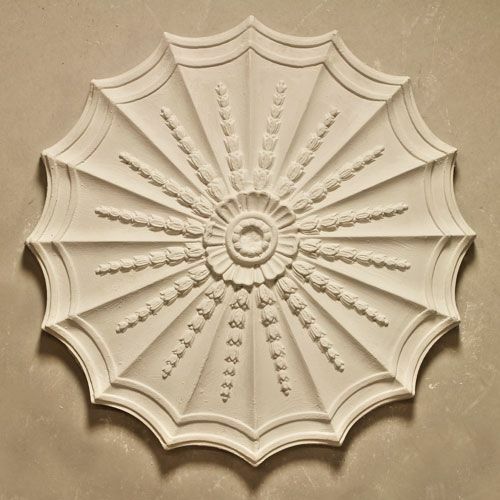 The design, enrichment and layout of such mouldings form a major part of period architecture. Examples of ornate ceilings can be seen from Jacobean and Tudor times with intricate designs of strapwork and ribs interwoven in dropped pendants and bosses. Such ceiling pendants became increasingly popular in manor houses and large townhouses from the 1530’s. 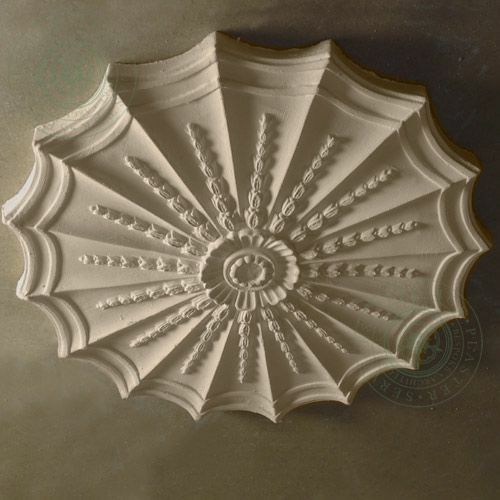 The heavily enriched plasterwork of the Early Georgian period gave way to the balanced Neoclassical designs favoured by Robert Adam, such ornamentation being of lighter relief. 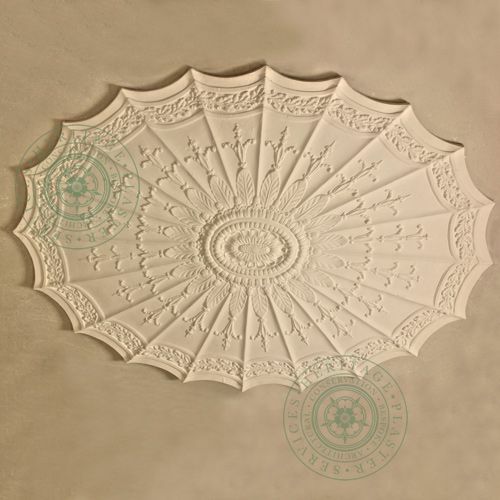 All over elaborate ceiling decoration was moved away from during the Regency period whereby ornament was usually confined to the cornice, the border of the ceiling plane and to the ceiling rose. 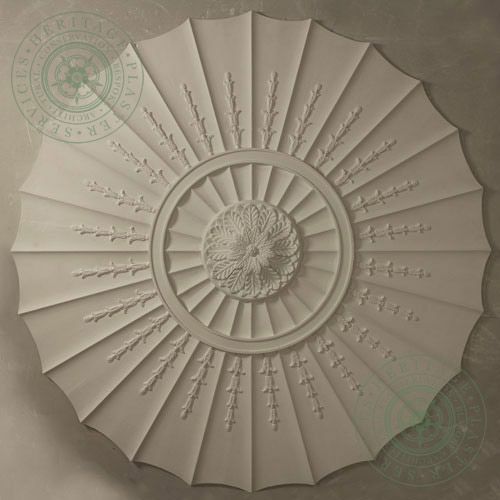 Ceiling Roses at this time became bolder and tended to be decorated with combinations of rosette and patera motifs with radiating leaves. 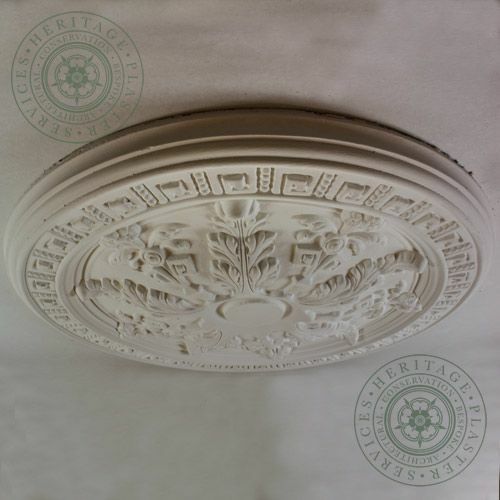 In the early Victorian years there was another shift in taste, the ceilings of the larger Victorian houses allowing plasterers great opportunity to demonstrate their skills. 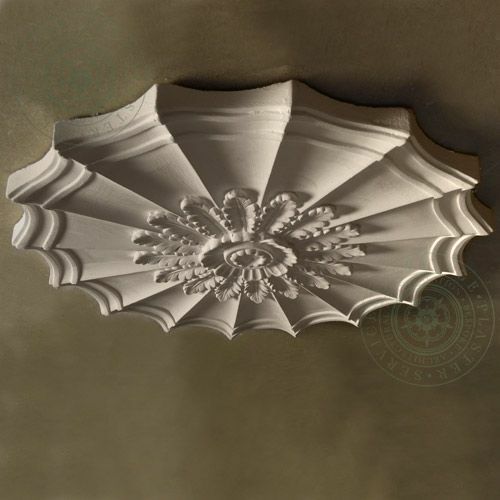 Elaborate ornamentation evidences this both on ceiling decoration and intricate patterns on the cornice. The best rooms now have gasoliers hung from ornate ceiling roses, where more modest homes would have a simple plain run cornice and a simple ceiling rose. 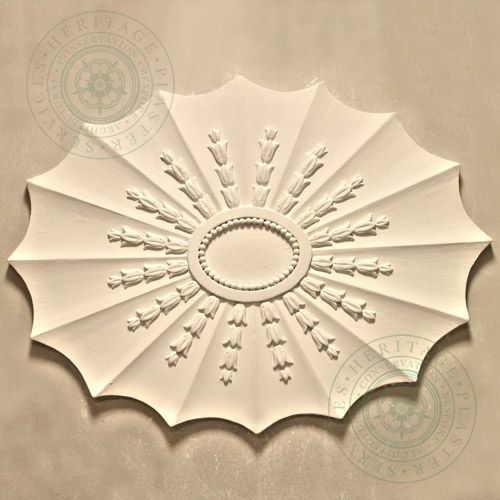 With the patent of fibrous plaster in 1856, the higher relief and more intricate works became possible, with the more complex and detailed designs being formed by multi-leaf designs with each leaf being applied separately to form the rose as a whole. 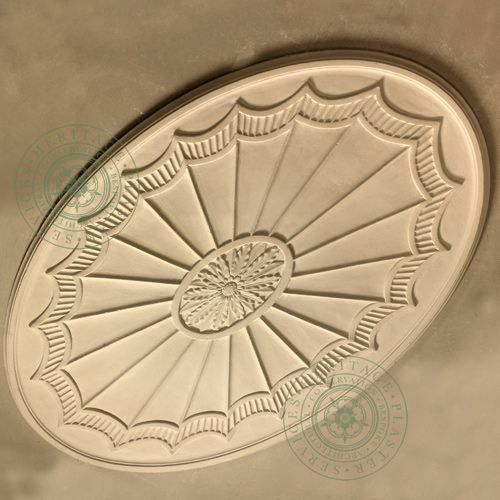 Such applied ceiling roses and mouldings can create a great effect, but the setting out to such a ceiling needs to be carefully thought out to ensure it suits the architectural period of the property, the overall interior design, and fits with modern lighting and media requirements. Also, the centralising of any rose needs to be correct, i.e. to the centre of the room; or to any particularities that may exist in a particular room such as chimney breast or large window. In some cases, it is a better design to use two roses. 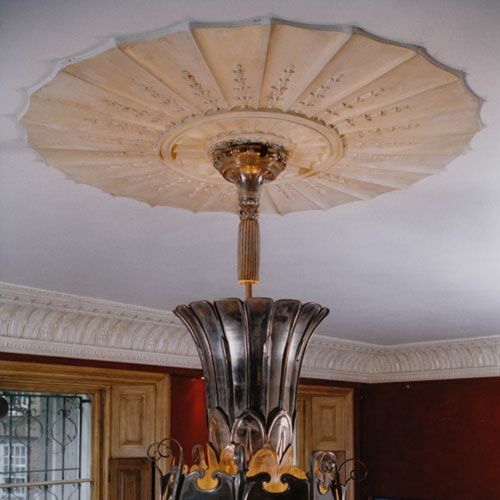 When choosing a design attention is needed to ensure the rose doesn’t distract attention away from any intended chandelier or special lighting detail. 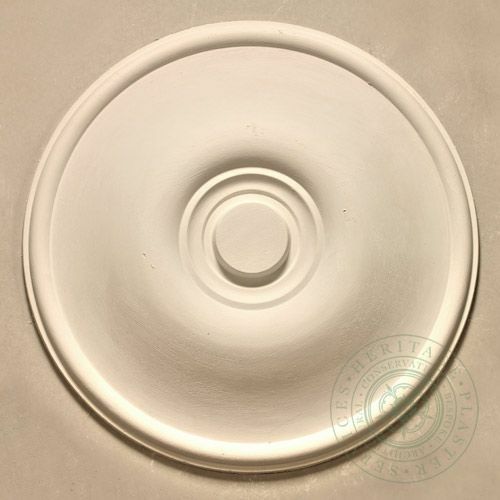 CR1 Small Plain Ceiling Rose with a diameter of ⌀445mm. 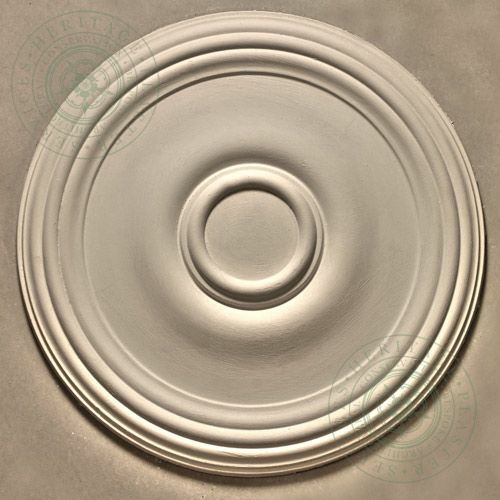 CR2 Medium Plain Ceiling Rose with reduced quantity of rings and a diameter of ⌀560mm. 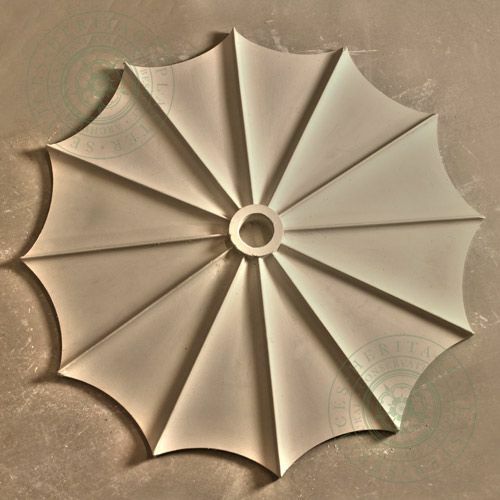 CR8 Adams Design Ceiling Rose is a large centerpiece with a ⌀600mm. 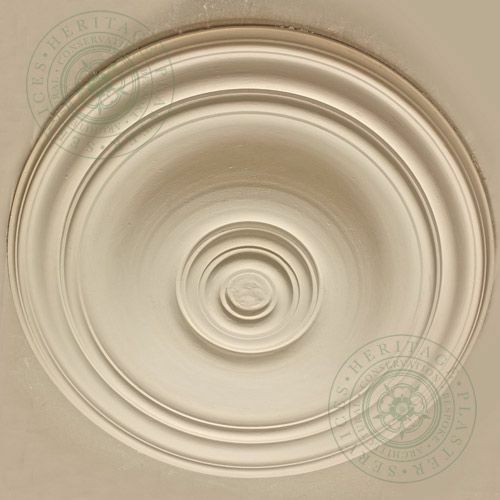 CR10 Ceiling Rose is a small oval Adams Design moulding measuring ⌀620mm/225mm. 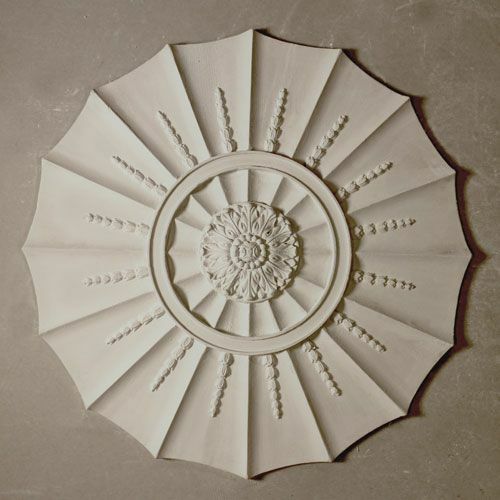 CR11 Ceiling Rose is a small Adams Design fibrous plaster moulding measuring ⌀460mm. 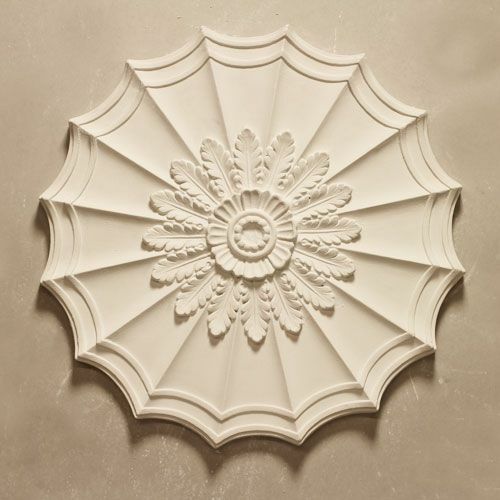 CR11 Adams Design Ceiling Rose is a small oval moulding with open flutes & leaf enrichment. 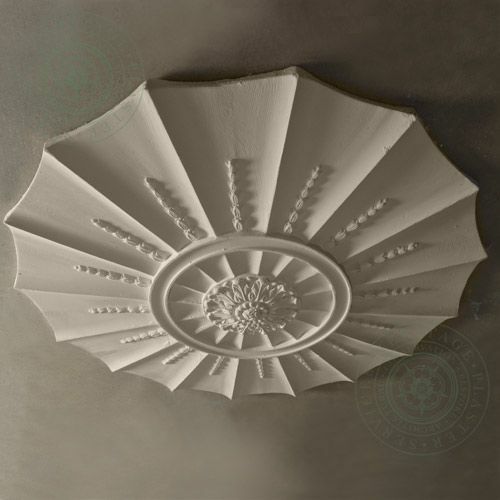 CR14 Ceiling Rose is a large Adams Design with plain open flutes, small fluted enrichment and ornate central boss. 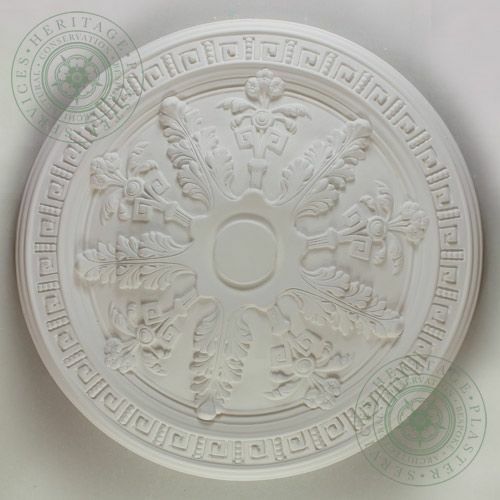 CR15 Ceiling Rose is small 620mm diameter plaster moulding with Greek key and leaf enrichment.